Sky has expanded its 'Buy & Keep' service on Sky Store to everyone in the UK and Ireland with suitable boxes. Sky Store offers customers the chance to stream a movie straight to their TV or download it to their mobile, tablet and laptop and receive the DVD direct to their home a few days later. Anyone accessing Skystore.com or the new Sky Store app will be able to Buy & Keep the latest blockbusters to stream or download on their compatible mobile, tablet and laptop. Additionally, non-Sky TV customers in the UK can watch on their main TV via a Now TV box, Roku or YouView box, while those in Ireland can watch via a Roku box. Sky subscribers still have the existing option of using the service via their Sky+HD box. “People want the simplest and most convenient way to buy and watch the movies they love, which is why it’s great news that from today Buy & Keep will be available to everyone and across multiple devices. Sky Store offers the complete service - straight to your TV, across your devices and you get the DVD in the post too”. Sky promised that watching across devices "will be seamless and easy thanks to a “follow me” function, which will allow Sky Store customers to start watching a movie on one of their registered devices, pause and then resume watching it on another registered device so long as they are connected to the internet." Up to four devices can be registered to the service and any movie can be streamed to two devices simultaneously, a similar set-up to Now TV. On Android devices, customers will be able to browse, watch and buy while on iOS devices the Sky Store Player App will enable them to browse and watch movies they have bought previously via their TV or on skystore.com. For existing Buy & Keep customers who have already used the service on their Sky+HD box, all of the movies they have bought will automatically appear in My Library in the app, ready to stream or download. 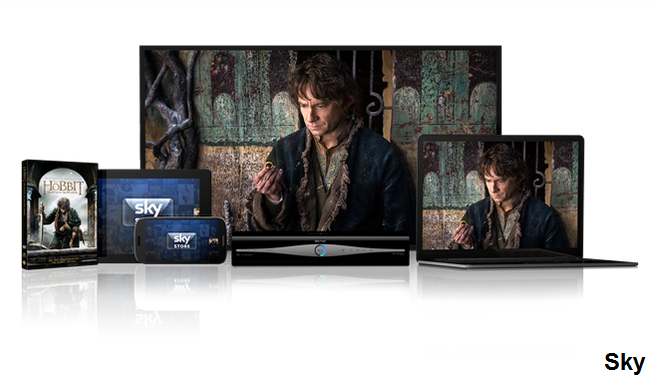 Sky customers who now Buy & Keep on mobile devices can also chose to send the movie to their Sky+ HD box as well. New releases are £13.99, older movies are £7.99. Most Buy & Keep movies are also available on early release, which means they are available on Sky Store before the DVD is available to buy in the shops. Sky says the service "will expand to include TV and movie boxsets" in the future. How do I know if my Sky box is suitable? Hello Polly. Visit www.sky.com/boxcompatibility to see if you have a compatible Sky box. Its still a shame that sky don't offer BluRays if you order a HD film!